Note - No longer available through method listed below. The vibrancy and energy of the lines contrast with the muted tones in this unusual combination of materials. 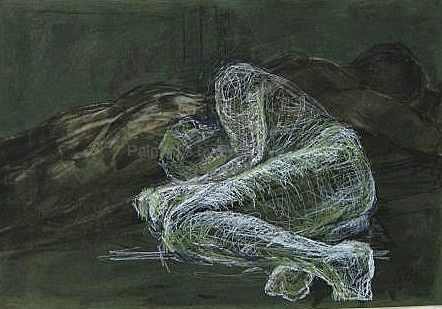 Pastel on pastel paper, overlaid with brushed,melted wax and drawn over again in wax pastel.